Nearly 300 civil society organizations (CSO) and the Inter-American Development Bank (IDB) met in San Salvador to discuss themes important to the region’s development: violence against women, ethnic and social inclusion, the development of responsible mining, food security, biodiversity, environmental safeguards, the sustainability of civil society, and operational alliances between the IDB and CSOs. As part of the effort to bring civil society closer to projects supported by the IDB, and promote interaction between the IDB, the public sector, and civil society, a field visit to the Ciudad Mujer Project was taken a day before the dialogue. More than 100 members of the Civil Society Consultative Groups (ConSOCs), the principal platform for dialogue, consultation, and exchange of information between the Bank and the civil society in the countries, were active protagonists of the event as it was they who defined the themes of the agenda and the discussions. "The context of each of the Latin American countries represented here demand challenges for Civil Society, challenges that must be addressed in an open dialogue to achieve results for the common good. 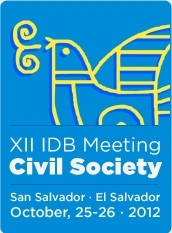 The XII IDB-Civil Society Meeting allows us to go a step further in that sought-after space for participation at national, sub-regional and regional levels. The interaction with the Inter-American Development Bank helps us to establish an open and constructive dialogue”, said Elena de Alfaro, member of the Civil Society Consultative Group in El Salvador. In 2011, more than 150 ConSOC meetings were held in the 26 borrowing-member countries of the IDB, and the same number is expected for 2012. 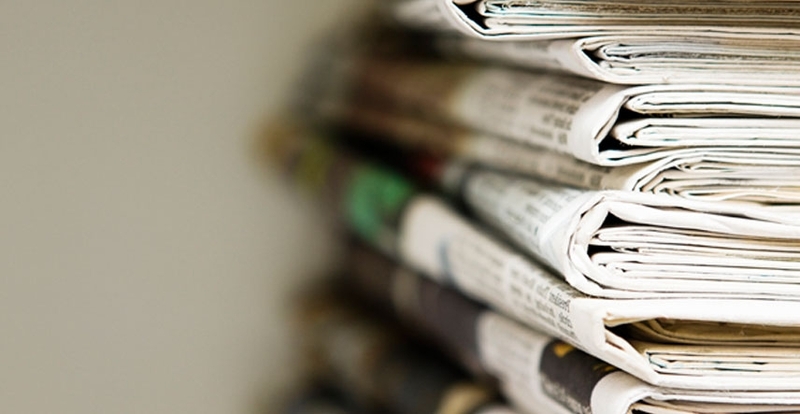 During the event, an award ceremony was held for the winners of the Call for Proposals Projects for Civil Society, which totaled $7,000,000, thanks to the support of the Japanese fund managed by the IDB. The winners are: the Fundación Colonia Pirai of Bolivia; the Progresar Fundación Centro de Educación Especial of Colombia; Plan Guatemala; Partners of the Americas, Guyana; the Fundación Nicaragua Nuestra; the Fundación Comunitaria Centro de Información y Recursos para el Desarrollo of Paraguay; and the Asociación Civil Neoandina of Peru. The IDB works directly with civil society organizations (CSO) whether through their participation in consultations, dialogues or the execution of projects with development impact. In this regard, CSOs have significantly contributed to the IDB’s work with their technical capacities and their knowledge of the communities where they work.